Well, there’s something to be said about starting your day by leaping off a plane 14,000 feet in the air. 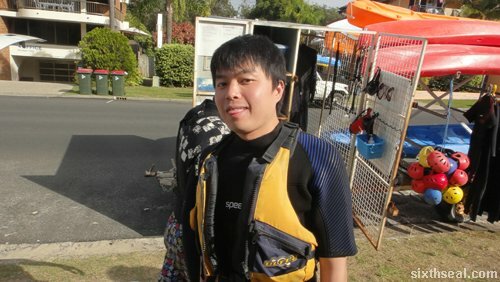 Skydiving first thing in the morning followed by some sea kayaking action. I have to admit, I was probably the first one up and went knocking to wake some others that day. We were certainly the first boots on ground at the meeting point at the hotel lobby. Heh! I was still half asleep when I signed the indemnity form. The Tourism NSW and AirAsia X people were kind enough to see if they can get me into a custom solo AFF since I’ve been through the course before but unfortunately, it was too late. 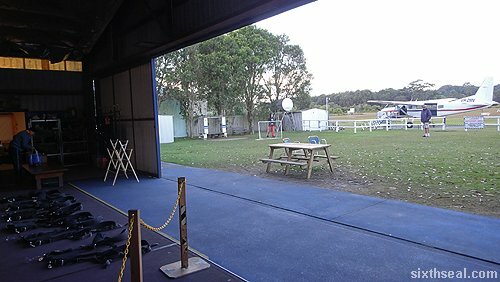 They only have tandem packages on the regular menu, so we all got into the tandem skydive at 14,000 feet (highest you can go in Australia) courtesy of Skydive Byron Bay. I didn’t film myself coz I had gone through all these before but Alycia did so look at her video to see what it’s like! She also wrote about her experience here. 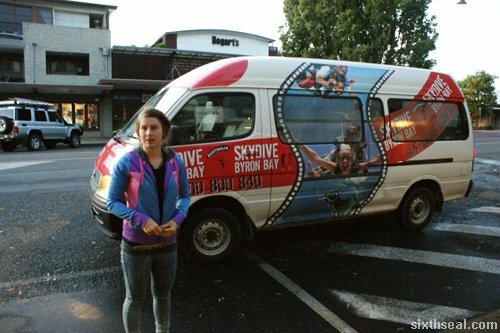 It was a lot of fun for me since I haven’t skydived in Byron Bay before (and certainly not in autumn) but it gave me this idea about jumping out of a plane without a parachute. There’s actually two people who has done it before and contrary to popular belief, you don’t just need to have balls of (forged) steel to do it. You’ll need some training as well, so you can maneuver and not slam into the other person in midair. That would probably involve a lot of dying since most people pass out when they crash into each other in midair at terminal velocity and thus would be unable to deploy their chute, much less do a tandem harness in the sky. This is the second person to do it, I thought it was technically more difficult than Travis’ first attempt. Terminal velocity is around 195 km/hour (it changes depending on how you shape your body and other variables – you can go faster, that’s how a person who exits the plane after you can catch up) and we got to experience that for about 60 seconds but I was talking to our driver and she happens to be getting her license so I told her I wouldn’t mind jumping out of a plane without a chute when she’s gotten her license. I was being totally serious btw. Won’t it be the ultimate rush? You’re just depending on someone else’s chute and there’s so many things that can go wrong before you hook up and do the harness. It’s mind-blowing. …which is exactly what we did that same afternoon, to spot dolphins and whales in the sea. I was supposed to pair up with Ringo but she can’t swim and I’m not a good kayaker so I teamed up with Alycia (who could swim) instead. 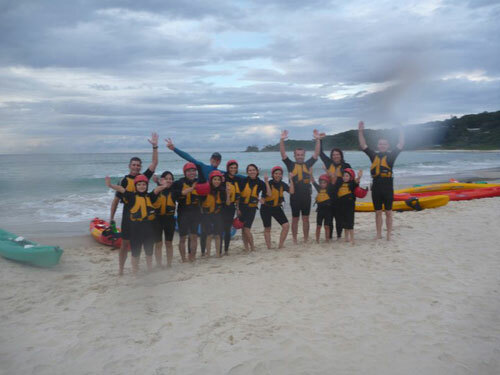 I reckon it’s a great thing coz me and Alycia never overturned our sea kayak (everyone else did). 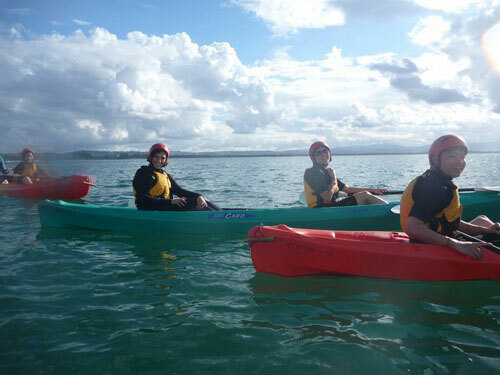 Sea kayaking requires you to power over the surf (this is the most difficult part) as you head out to sea – aligning your sea kayak in a directional wedge against the incoming tide so you can go over the waves and into the calmer seas after the break. 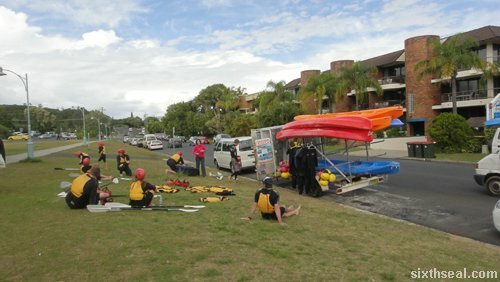 I didn’t remember to bring my waterproof digicam so all the photos are from the Cape Byron Kayaks Facebook page. …so if you’re wondering just how fun a barrel of monkeys is, AirAsia X is having their Byron Bay & Beyond promotion for just RM 599 all in to Gold Coast now. Just remind me never to wear Lycra. From the years of knowing you, I know you’ll do it. Good luck jumping from a plane without a chute. Heh! Well, we’ve known each other for 13 years, and I’ve been in a lot of…er, adventures to be sure. I’m quite surprised I’m still alive to be honest. Lots of things could have gone wrong from my impulsive daredevil stunts, most unsupervised, but they didn’t. Sorry Diana, my memory isn’t what it used to be. Nice one mate! I would pay to see you jump off a plane without a chute. Serious. I’ll contribute to your fund. Hey, I’m up for doing it, next trip to Aussie then. nothing like diving off a plane at 14 000 feet to get the adrenaline running first thing in the morning eh? Then pumping up your sugar levels with pancakes for lunch. Ahh thats life…… are u in Malaysia now? Now if only I had the resources to do it every single morning. I’ll have made 365 jumps in a single year. Yup, that was the only time I had pancakes actually. 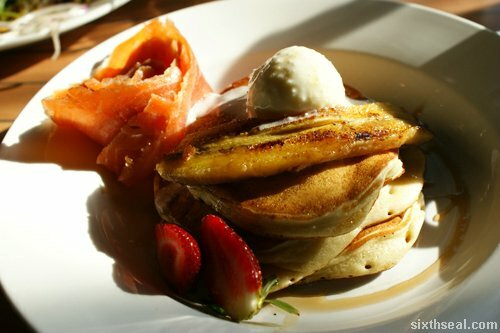 I love buttermilk pancakes, used to eat a lot when I was in Melbourne. Yeah, I’m in Malaysia now, unfortunately. I’ll love to go for another trip. Heh! haha reading this post reminds me of one of the videos posted by freddiew on the internet about jumpin off a plane everyday like as if he’s staying in the clouds to get to work everyday. Organic food? hmm always found that to be a little pretentious but i totally embrace the idea and values of it but the price doesnt seem to agree with me =( GM crops FTW! for now at least. Well, to be honest, that was my perception too. Too artsy fartsy, all these organic foods but when I tasted and experienced it, it’s really something to learn from. Low food miles too – use the ingredients that’s in season instead of importing stuff which is not in season. yea supporting fresh local produce doesnt just keep money circulating within the community but also helps independent farmers. I was wondering since Malaysia is a tropical weathered country so do we actually have distinct seasonal produce? Yeah, that’s what’s great about all this. To be honest, I have no idea…I mean I know durians and such are seasonal but now it fruits throughout the year with some GE modified seeds. I MANAGED TO GET 477!! Do you have any recommendations for things to do in Byron Bay for those less adventurous than you? 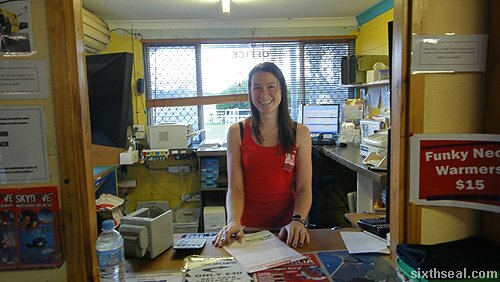 There are a lot of things to do in Byron Bay – cycling around for one – found that a rather interesting way to go about. It’s winter now though but I guess you still can. The scenery there is amazing. You can also visit the farms around and eat macadamia nuts straight off the tree. It’s strangely delicious – you have to crack them first though. Of course, a visit to all the quaint towns (like Tyalgum) and just to soak up the wonderful blend of culture which is Byron Bay (they are very big on organic food). man, jumping out without a chute will really be the ultimate rush, but perhaps not something i will do tho. i’ve yet to try sky diving, malaysia just isn’t the best place for doing it. I can feel the rush just imagining jumping out of a plane without a chute. Yeah, Malaysia lacks in the skydiving department, a pity coz I’m sure there’s a lot of enthusiasts here. Lovely experience although I will not dare to take chance. Especially tandem skydiving, there’s no need for you to do anything at all. You should go for bungy jumping first, lest you reduce that experience. Bungee jumping is a lot of fun too, a different kind of fun. You don’t get the free fall experience though. Wow, skydiving is one of my few to do list before I die, must definitely try it asap. 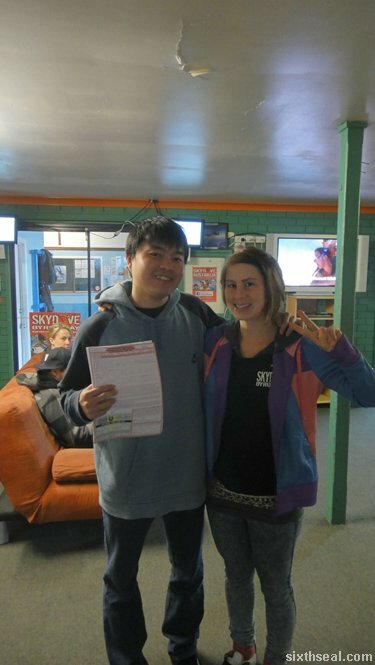 The bucket list for everyone has to include skydiving. It’s a lot of fun, exiting the plane, the force of terminal velocity, the experience of the free fall and the amazing views. Wow this is really an adrenaline rush. I’m so jealous Huai Bin! You’re having such a good time and doing all these daredevil activities. 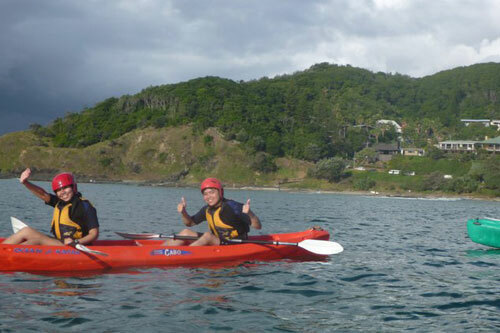 ps: you were a great kayaking partner too! thankfully we didn’t crash into the rocks as the current was pushing us towards. Oh no! Okay, tell me when your article is out, I’ll love to read it Alycia! Yup, I will definately tell you when I’m doing the skydiving without a parachute thing. It’ll be fun. And dangerous. But fun above all. Heh! It was published yesterday in Star2 weekender! Link above. There’s also two other related stories at the bottom of the page. As for the autographed version, I really didn’t think you we serious. Lmao! Awesome! That’s a great writeup. Hope you’re doing well too! Catch up sometime ya! Great post, I believe blog owners should acquire a lot from this website its real user friendly. So much fantastic info on here mytechnwp-includesimagessmiliesicon_biggrin” .